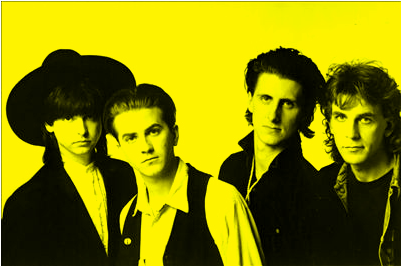 It took Wire Train three years to follow up Ten Women, and when they did they had exchanged e-bows for slide guitars, producer David Tickle for Tim Palmer, and spiky new-wave coifs for shoulder length hair. I found the self-titled fourth record even more difficult to “get into” than the one before it. Perhaps the best way to describe the difference is that Wire Train marks the band’s completed transition from new wave to rock n’ roll. The songs are longer than ever before (one even clocks in at eight minutes). That translates to fewer lyrics and more “jamming” — which works for me sometimes, but other times it doesn’t. What holds it all together is an obvious enthusiasm by the band for the new sound and the new material they’ve created. Whether that’s enough to win over the listener, is debatable: it’s probably my least favorite Wire Train album — yet it managed to outsell all three previous albums combined. So what do I know? Following the release of Wire Train the band hit the road once again — this time opening shows for Bob Dylan — further indication of the band they had become vs. the band they once were. 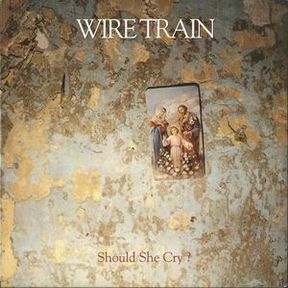 It sounds goofy, but way, way down the list of things I am thankful for, is the music of Wire Train. Over the years they have given me hours of listening pleasure, memorable dance opps, and great sing-a-longs. Our shared Thanksgiving is something I will never forget. And, more importantly, their music continues to surprise and enthrall me whenever I pull it off the shelf.